Height adjustable chrome metal base and swivel seat. Seat covering in leather available in several colours. Dim. cm. 38 x 38 x h. 57/81.5. To make a colour choice different from the picture here shown, please write it in the notes during checkout. 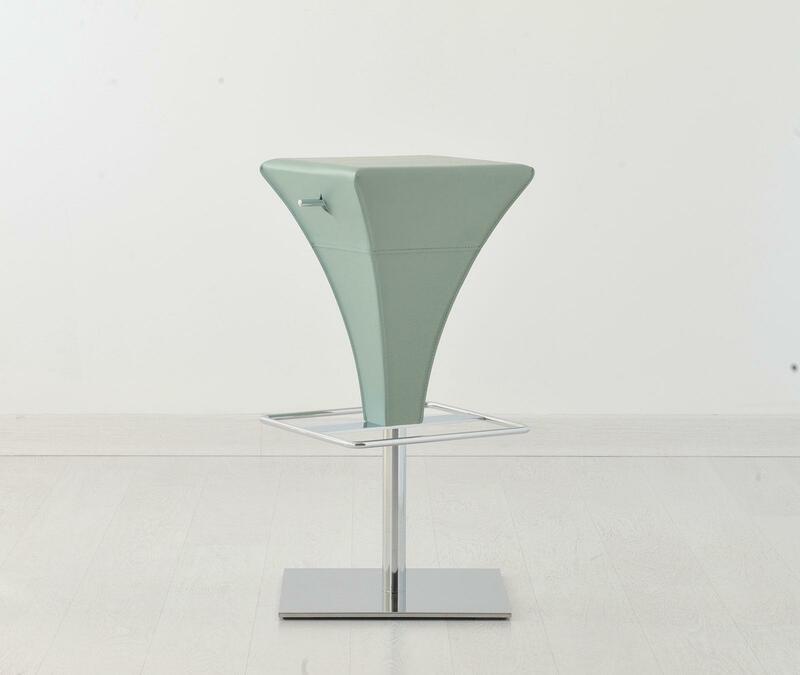 Mark is a beautiful stool surprising by its singular truncated and inverted pyramid shape. Mark stool has a great personality. A good example of balance between leather and steel. 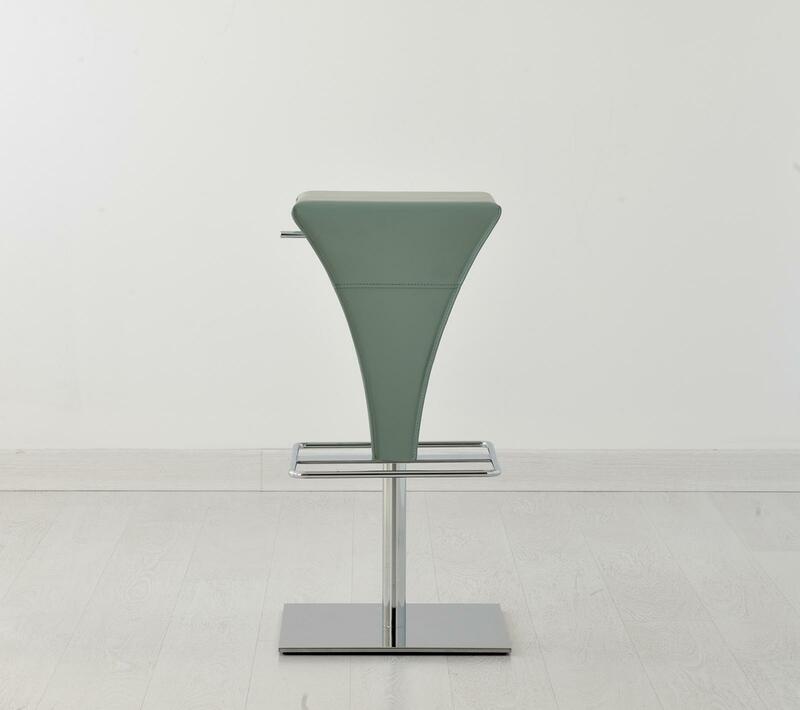 Mark has a swivel seat and a height adjustable chrome metal base. Here the stool is proposed finished in a cute and fashionable pastel colour. Actually, it’s available in several hide leather colours. Please look at the leather samples on this page, in the “Available materials and colours” box. During checkout, simply specify the leather of your choice writing it down on the purchasing notes. 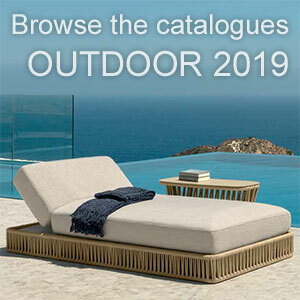 We are at your disposal by e-mail at info@italydreamdesign.com or by phone at +393477960415 for any needs and support. After your order, we can eventually send you covering samples to let you verify chosen shade and quality.